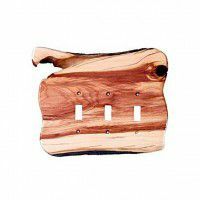 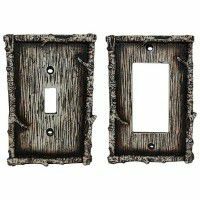 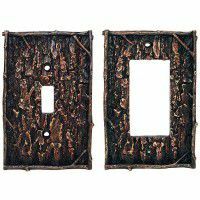 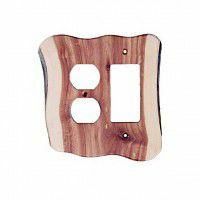 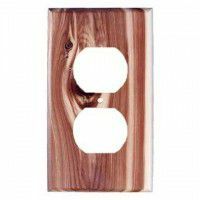 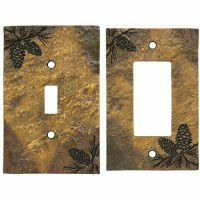 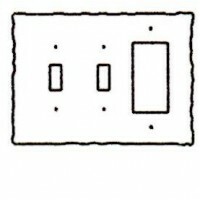 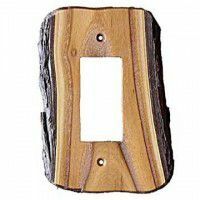 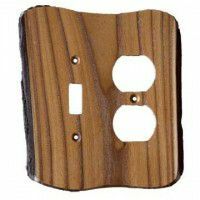 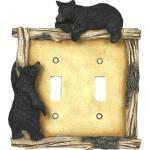 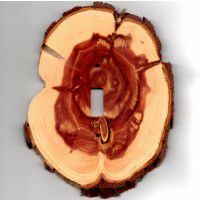 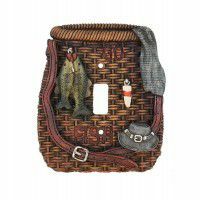 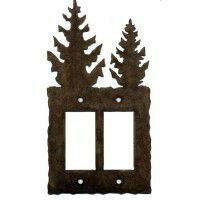 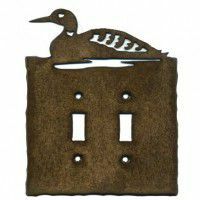 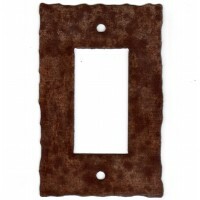 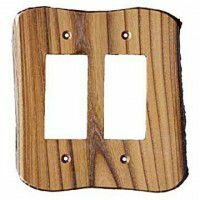 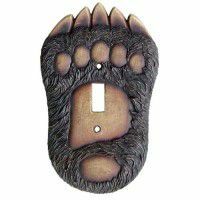 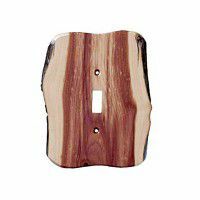 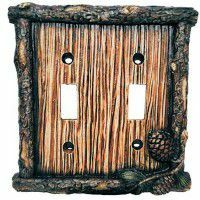 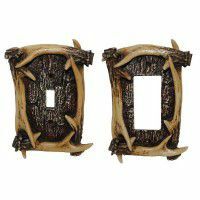 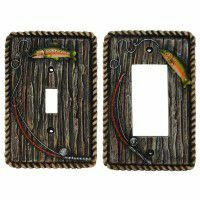 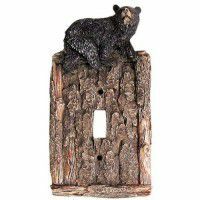 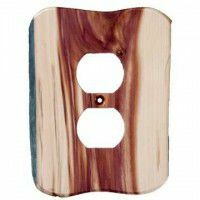 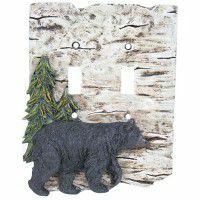 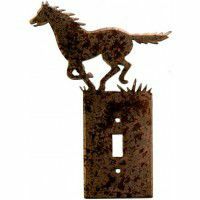 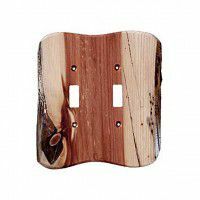 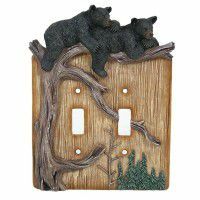 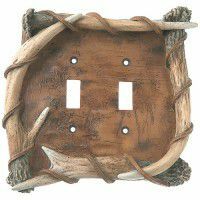 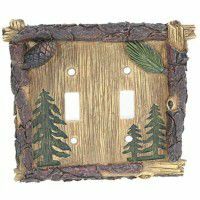 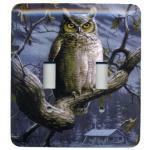 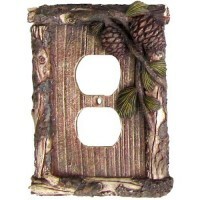 No log home decorating project would be complete without our rustic switch plate covers and matching outlet plates. 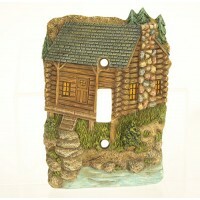 These rustic cabin accessories might be small, but they can add so much to your cabin decor. 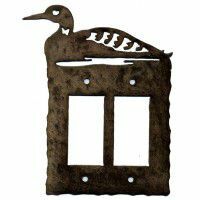 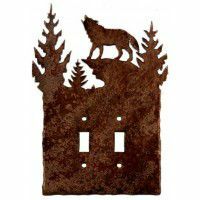 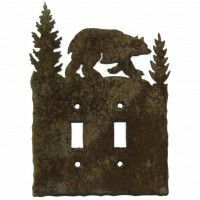 Our cabin light switch covers and outlet plates come in metal, wood, slate and ceramic and can fit up to 5 gang switches and are also made to fit rockers. 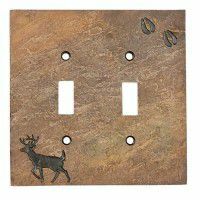 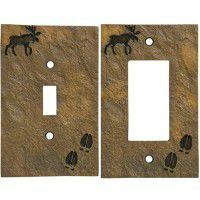 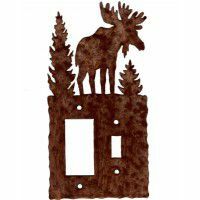 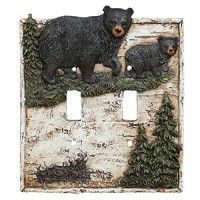 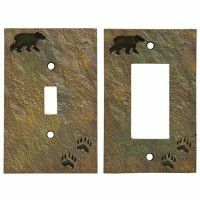 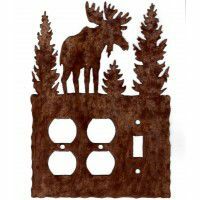 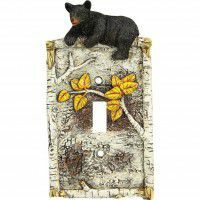 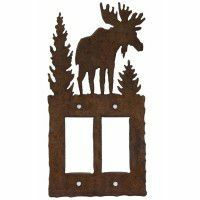 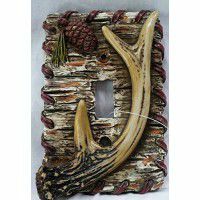 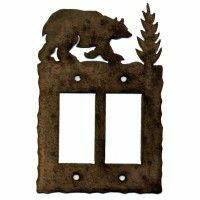 Included in our collection are moose switch plates, bear switch plates, elk, deer and fish. 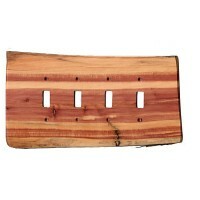 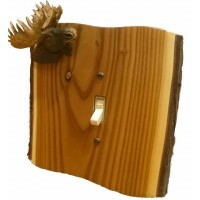 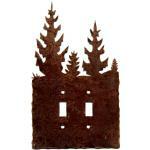 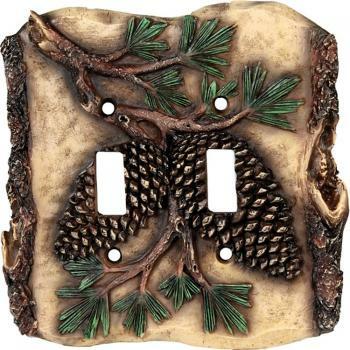 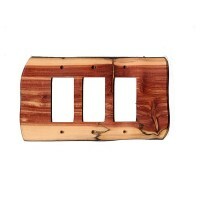 We also have pine tree and pinecone switch plates with matching outlet covers.